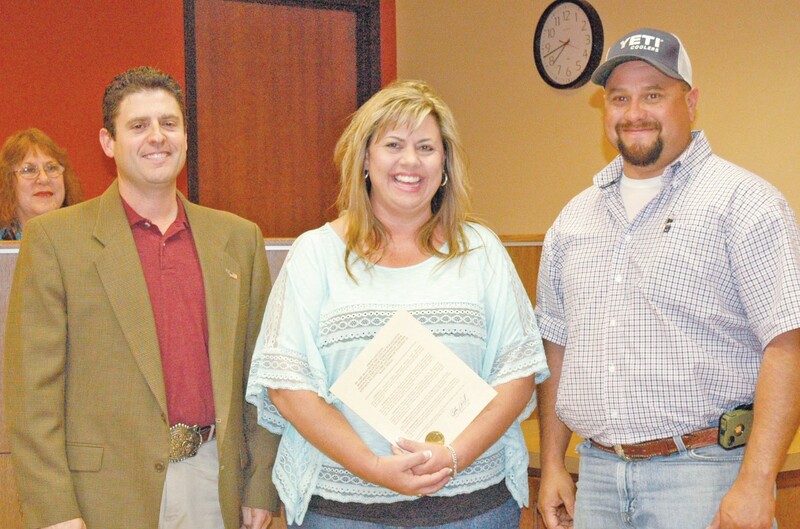 Shawnene Edmondson (center) was presented a special proclamation from City of Pleasanton Mayor Clint Powell (left) at the May 1 City Council Special Meeting. Edmondson was the driving force for collecting items to be transported to the town of West, Texas after the recent explosion. David Douglas (right) of Ranchscapes donated the use of his trailer, truck, fuel and time to deliver to the citizens in need.